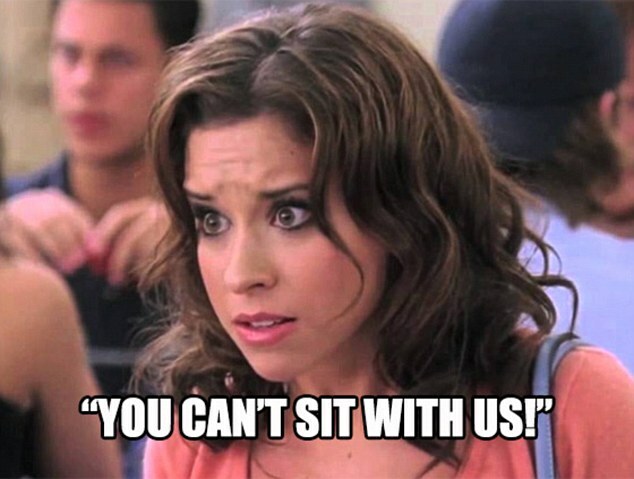 Sorry, you can’t sit with us because we are different (or not). Not so long ago, I went with my grandparents for their first time in a fast food chain. They choose McDonald’s due to its popularity and its presence in almost every city. After receiving their meal (burgers and fries), they asked the employees where could they find cutlery. Picturing them eating their double cheeseburger with forks and knives seemed quite amusing at first glance because of its unusualness, but for a senior French couple, it seemed completely normal. This insight in other people’s life pushed me into thinking about social differences and the shock of cultures that occurs around tables all over the world. It can be translated into diverse manners and habits such as the number of meals taken during the day to the order the food is served during a meal and table manners. The number and timing of meals eaten during the day could indicate whether a person is wealthy or not. In the past, in England, having a late breakfast at 10 O’clock would imply a certain amount of wealth and leisure status for not having to go to work as the working class would (Fox, 2002). In fact, wealthy people would have not less than 4 meals per day (breakfast, informal lunch, dinner and supper – ‘tea’ time could sometimes be added). In comparison, lower classes may have only 2 and a half meals (light midday meal, hearty tea and supper). The order the food is served differs equally from one country to another. For example, the French have a specific sequence of how food is served, which can be offensive to certain people when broken (such as my grandparents). In fact, the food order often goes like this; starters, main dish, salad (with or without cheese), desserts and coffee. In France, the salad is always served after the main dish to go with the selection of cheese but never with the main dish as the British would or in a complete display with all the dishes as it is done in the East (Fox, 2002). In fact, as a French person, I sometimes get confused when it is displayed differently. The use or non-use of cutleries can be a main element of determining the social and cultural appurtenance of people. In western countries, forks and knives are commonly used, while in Asian countries, such as Thailand and Myanmar, spoons are used to carry food from side dishes onto rice, which is eaten with the right hand (the left hand considered as bad luck). In Western countries, people are becoming more self-conscious and developing anxiety about embarrassing themselves around the table. This pressure is maintained by the media and cultural expectancies. Fortunately, today’s world is slowly becoming more and more connected which erases certain mannerisms and the status conveyed by the culture surrounding food. (Shared Taste, 2014). ‘You can’t sit with us!’. (2015). [image] Available at: http://www.dailymail.co.uk/femail/article-3311121/Facebook-users-slam-Jay-Jays-tee-shirt-bearing-famous-Mean-Girls-quote-saying-promotes-exclusion-bullying.html [Accessed 19 Oct. 2017]. Fox, Robin. 2002. ‘Food and Eating: An Anthropological Perspective’, Oxford: Social Issues Research Centre: 1-22. Vu, B. (2017). Representative Features of Myanmar Culture. [image] Available at: http://www.vietnamsouvenir.org/2017/05/representative-features-of-myanmar.html [Accessed 19 Oct. 2017]. Shared Taste. (2014). The global lives of food and material culture. [online] Available at: https://sharedtaste.nl/2014/09/01/shared-taste-nl/ [Accessed 19 Oct. 2017].